IN A GLANCE: Even better than the first! In the aftermath of a tragic spring day, the people of Stansbury, Vermont, are unable to forget what happened, as they have all the tragedies of their past. After the media exploited their pain, they have become uneasy with the world beyond their town and with any outsiders. In the aftermath of the media deluge, latecomers straggle into Stansbury looking to pick up the scraps of stories left behind. What they find, however, is that the powerful forces that have guided the destinies of the people of the town for hundreds of years are now at war with one another and in need of pawns. In the aftermath of Spring, there is Summer. Lakebridge: Summer is the second of a four book cycle revolving around Stansbury and the Lakebridge. Lakebridge Summer is the second book in this series. Again, like the first book the author has shown us everyone's prospective in the book. I really love that about this author's writing style. 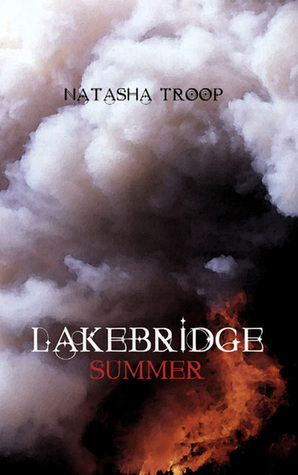 Lakebridge Summer is very well written and the characters very well developed and thought out. This was another book were I could picture the whole thing in my head as I was reading it. It was like I was watching a movie as I read. The author paints that picture with her writing and the story is her flowing paint. I enjoyed all the supernatural aspects of this book. Natasha Troop's series isn't one that I would normally read, like I said in my review of Lakebride Spring. Usually I don't read this genre but I loved these and now I will have to try some more books like this one. I would defiantly recommend anything Natasha Troop writes to any of my friends.